Join the experts in the field to learn about the home buying process. We discuss different loans available, the loan programs and down payment assistance in Maryland. Ask all of your questions and get answers right there! No stuffy classroom or slideshows to watch…It’s Happy Hour to get your Buying Power! 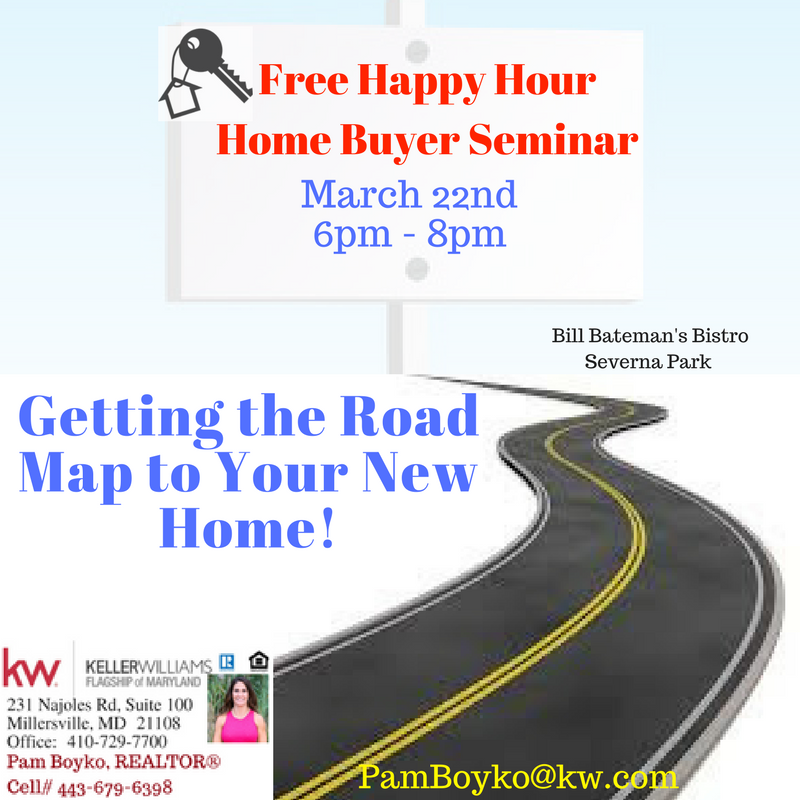 This Happy Hour isn’t just for 1st time home buyers…if you are thinking about selling and purchasing your next home, come get the scoop on how to do it in 2018. I enjoy having these Happy Hours because everyone is relaxed. It’s great to have this opportunity to help people get on the path to their dream of home ownership.